Retrieve IP or Domain Geolocation. Retrieve your own IP Geolocation. Retrieve Geolocation for IPs or Domains loaded from file. Each target in new line. Define your own custom User Agent string. Select random User-Agent strings from file. Each User Agent string in new line. Select random proxy from file. Each proxy URL in new line. 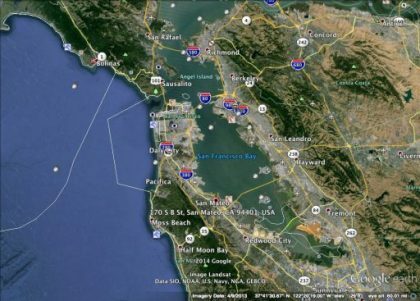 Open IP geolocation in Google Maps using the default browser. Export results to csv, xml and txt format. --[ ip-api.com service will automatically ban any IP addresses doing over 150 requests per minute. -m, --my-ip           Get Geolocation info for my IP address. IP Address or Domain to be analyzed. A list of IPs/Domains targets, each target in new line. Set the User-Agent request header (default: IP2GeoLocation 2.0.3). A list of User-Agent strings, each string in new line. -g                    Open IP location in Google maps with default browser. ot to print results to terminal with this option. A list of proxies, each proxy url in new line. -e file, --txt file   Export results. -ec file, --csv file  Export results in CSV format. -ex file, --xml file  Export results in XML format.